Don’t miss the many concerts in Hart Park this summer, the Treats in the Street Autumn Festival this fall or the Tree Lighting and Candlelight Choir Procession Christmas. And if on your way to any event you need a battery jump start, flat tire change, car lockout or emergency towing, call our 24/7 dispatch service. 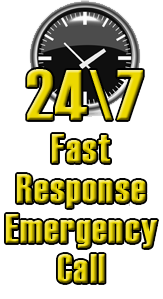 With our 30 minute response time we can provide all your emergency services when you need them. We also provide routine auto towing if you need to get that stored car going. Whether your crisis occurs in the driveway, at the office, in the parking lot, or on the highway, let Towing Ravens roadside assistance take care of you. Do you need a battery jumpstart, flat tire change, car lockout solution or gas fill? Give us a call. Let us simplify the complicated life you live. Our drivers have years of experience to make things less complex. With our “go anywhere” roadside assistance we get you back on the road. We have an Honest Pricing policy for all your needs. Whether you are taking a vehicle or equipment to a storage unit, a service center, or to someone across town, you can trust us for all your auto towing services.